I’ve never been a big fan of cooking. Eating, yes, but not cooking. 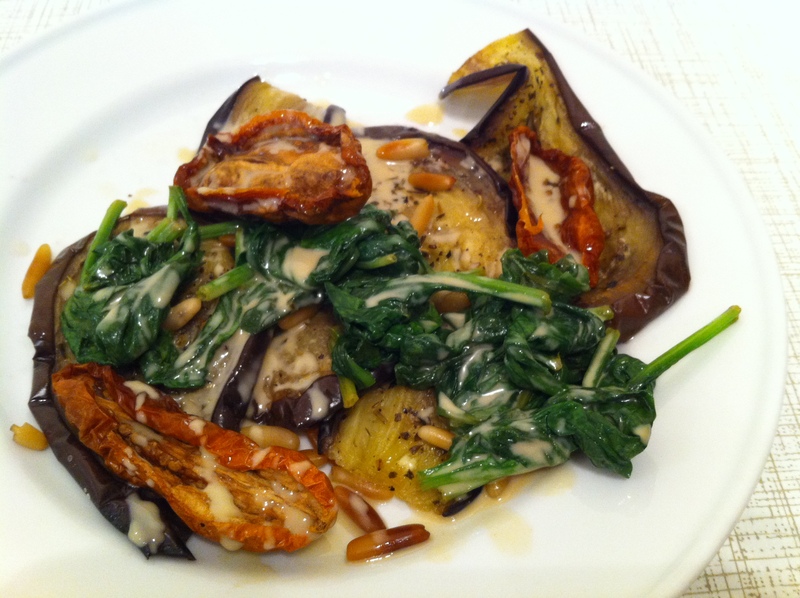 I was too lazy and considered it a waste of time, especially cooking for one person only. My excuse was that I’d have to buy such big portions of everything that it would still be cheaper to eat out or I would have to eat the same thing for a whole week… But while travelling, I really missed having a kitchen of my own. Especially, since I’ve wanted to switch to a sugar free and gluten free diet – along with vegan, which I’ve been for many years – for several years already. 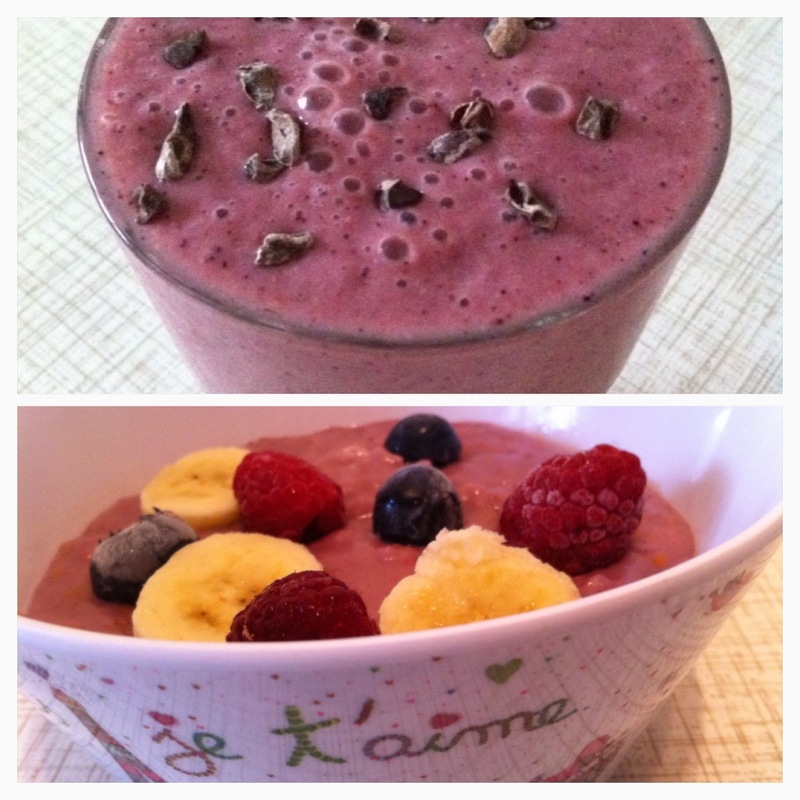 The first time I tried was in 2012 – vegan, gluten free and all sorts of sugar free – no fructose either. Along with a very demanding job, I did it for a week, but then let it slip… While travelling, I tried to do it as much as I could – sometimes more, sometimes less, but especially the sugar free part was hardly possible. And maybe it will never get to an all or nothing approach, but at least I want to try to consume as little sugar/fructose, gluten and soy as possible, since they simple don’t do me much good. Being „back“ – whatever this means for the time being -, I finally got a Vitamix, something I had wanted for years, and a few weeks ago among others Deliciously Ella’s cookbook, pretty much at the same time as the Vitamix. And the two go perfectly well together, I must say. The last few days or even weeks already, I’ve been rather lazy when it came to cooking or I was also out a lot, but in the beginning, I tried to cook quite a few of her recipes. What I like about them: they don’t mention fancy ingredients I can’t get in Switzerland or Germany, they are rather easy and quick to cook and not that much can go wrong. I’m someone who doesn’t like measuring everything and just throws the ingredients in, and, in most cases, it worked. 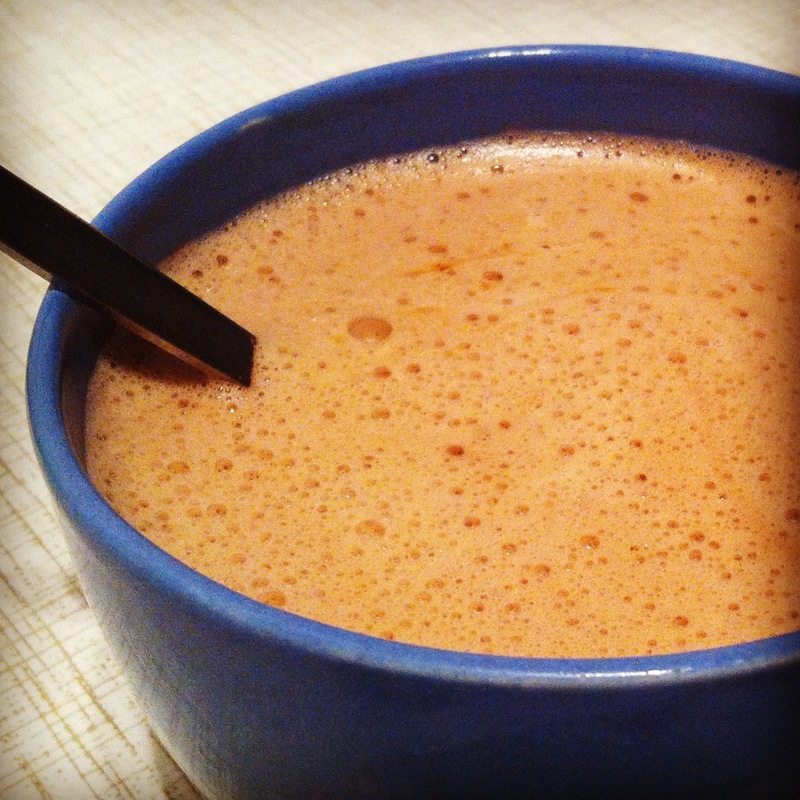 I’ve been making my own almond, cashew and hazelnut milk ever since I got the Vitamix – and I enjoy having this option so so much. Being able to avoid all the stabilizer that wouldn’t do my digestion much good either. 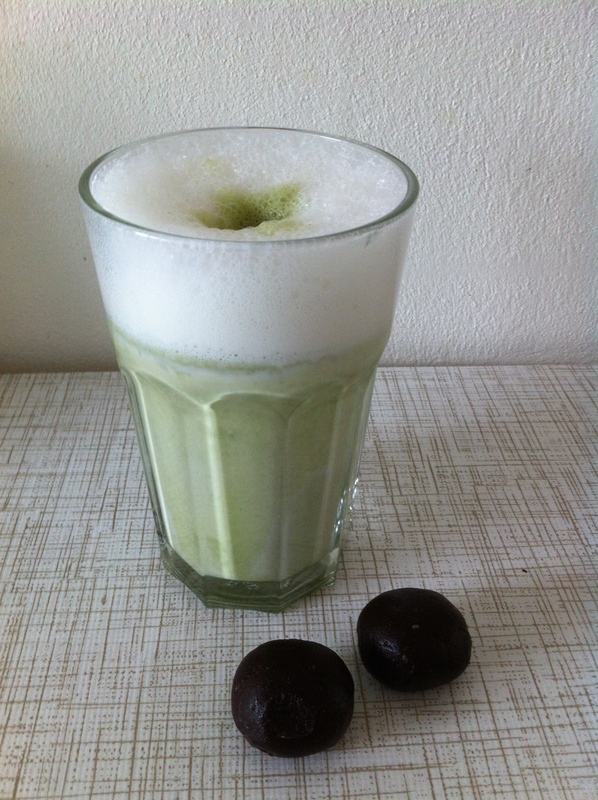 It’s so easy and quick and gives you the option to have whatever nut milk you feel like having. And then you can just add to it whatever you feel like (blueberries, raspberries, banana, oats, spinach,…) and you have a wonderful smoothie, or I also quite like Ella’s recipe for a hot chocolate (http://deliciouslyella.com/hot-chocolate/; here with cashew milk, raw cocoa, almond butter, coconut sugar and coconut oil). As Ella, I’m quite a fan of porridge myself and have already had her Creamy Coconut Porridge (http://deliciouslyella.com/coconut-porridge/; Cremiger Kokos-Porridge) as well as the Oven-Baked Apple Cinnamon Porridge (since I have the cookbook in German, I don’t know the official English names of the recipes…; Gebackener Apfel-Zimt-Porridge) quite a few times. Especially now with the weather getting colder, it’s a lovely start into a day, with the first one being done within minutes. Once, I added raspberries right from the beginning and got pink porridge that I had with a pink raspberry blueberry shake, and how lovely that was to have an all pink start into the day (it’s the little things that count, right?). I added seaweed to the Quinoa with Sautéed Vegetables (Quinoa mit sautiertem Gemüse) and loved it – but I am a huge seaweed lover, so for people who don’t feel that passionate about about seaweed, it might not be advisable. 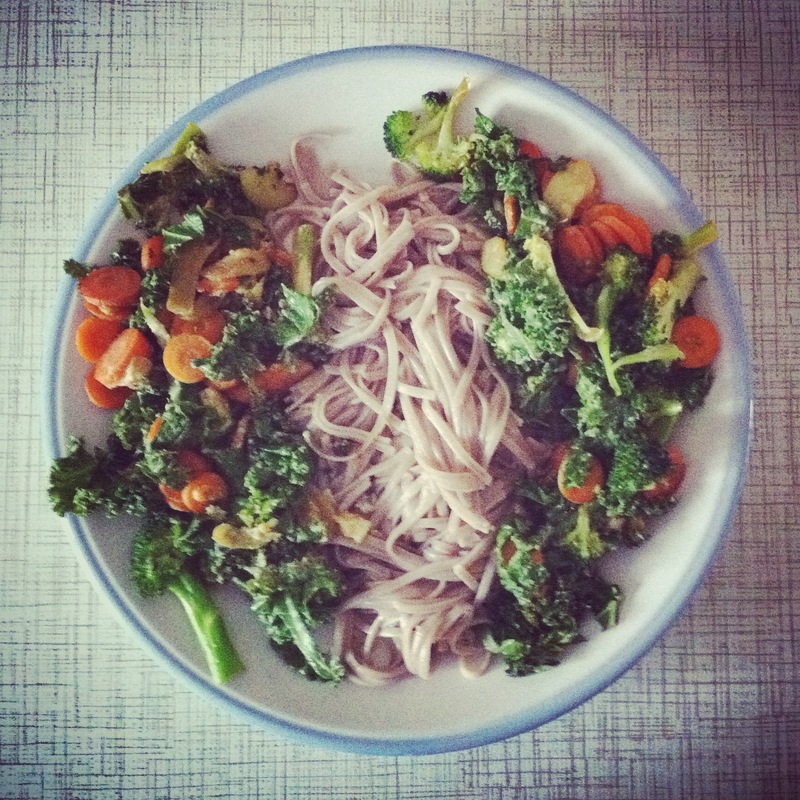 I cooked it with the quinoa, which already gave it a (in my opinion) lovely flavour :). 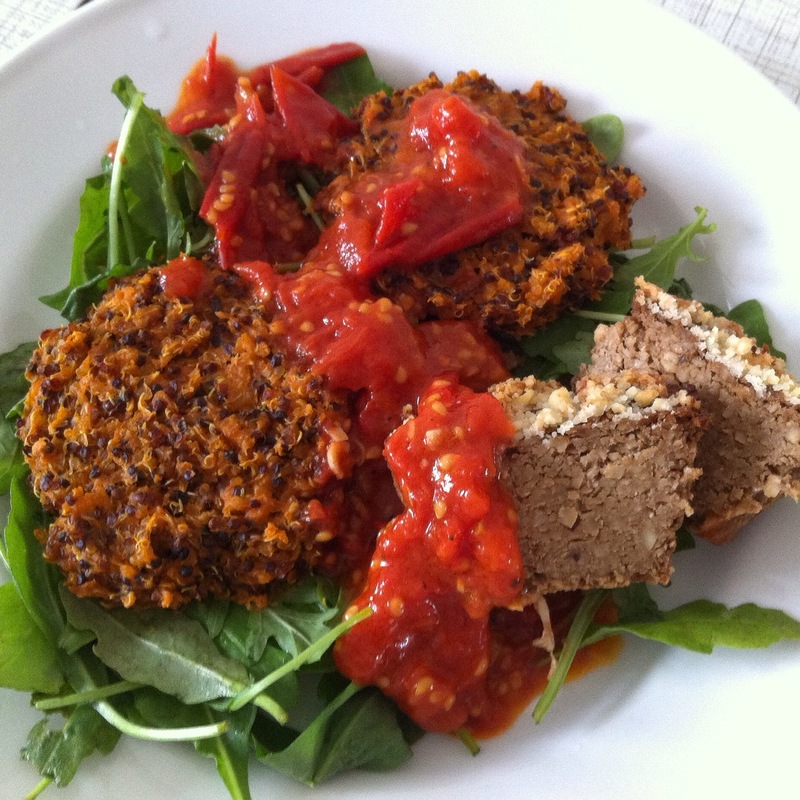 I quite liked the Quinoa Tamarind patties (Quinoa-Tamarind-Bratlinge). Together with some salad or also just by themselves. It was handy to have a bunch of them in the freezer to warm up whenever I didn’t feel like cooking anything else. I’ve had times when I had hummus on a daily basis. 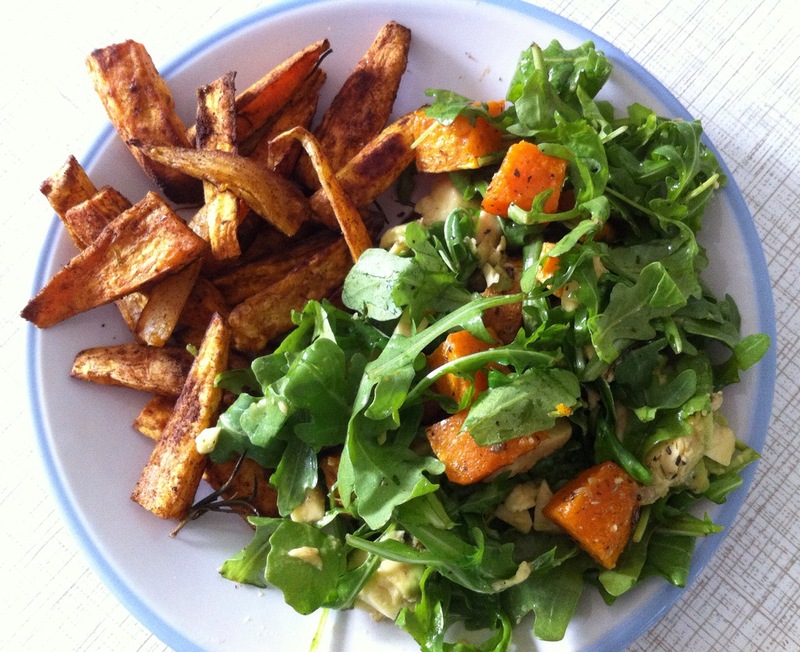 I love it with the Sweet Potato Wedges (http://deliciouslyella.com/baked-sweet-potato-wedges/; Süsskartoffelecken) or simply with plain potatoes (I’m actually quite happy just eating plain potatoes by themselves…even as a sweet treat). After a first try, I decided to use less garlic and no turmeric, but otherwise I stuck to Ella’s recipe. 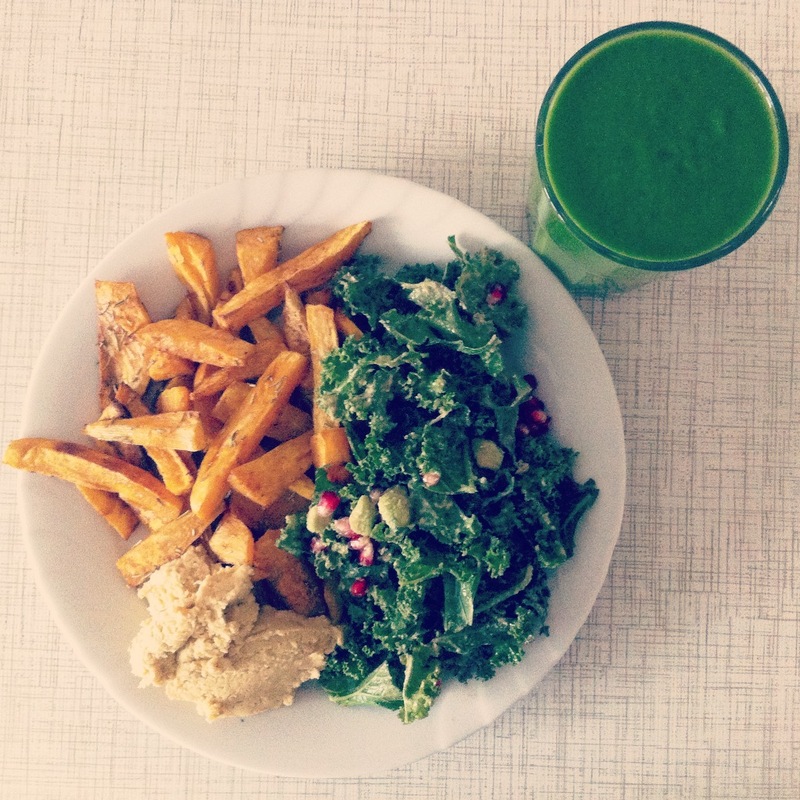 Along with the Hummus and the Sweet Potato Wedges, I love the Marinated Kale Salad (http://deliciouslyella.com/marinated-kale-salad/; Marinierter Grünkohlsalat) – kale, sweet potatoes and hummus being big favourites of mine. First, I didn’t particularly like the Sweet Potato Brownies (http://deliciouslyella.com/vegan-sweet-potato-brownies-gluten-free/; Süsskartoffel-Brownies). 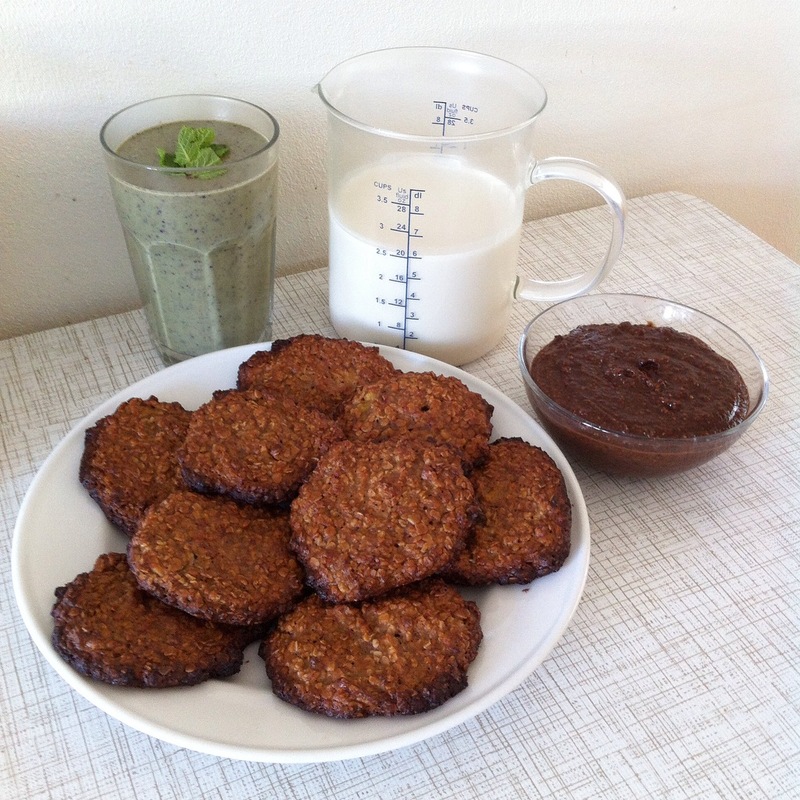 So I threw them into the mixer with home-made almond milk and half a banana and got a yummy smoothie out of it. 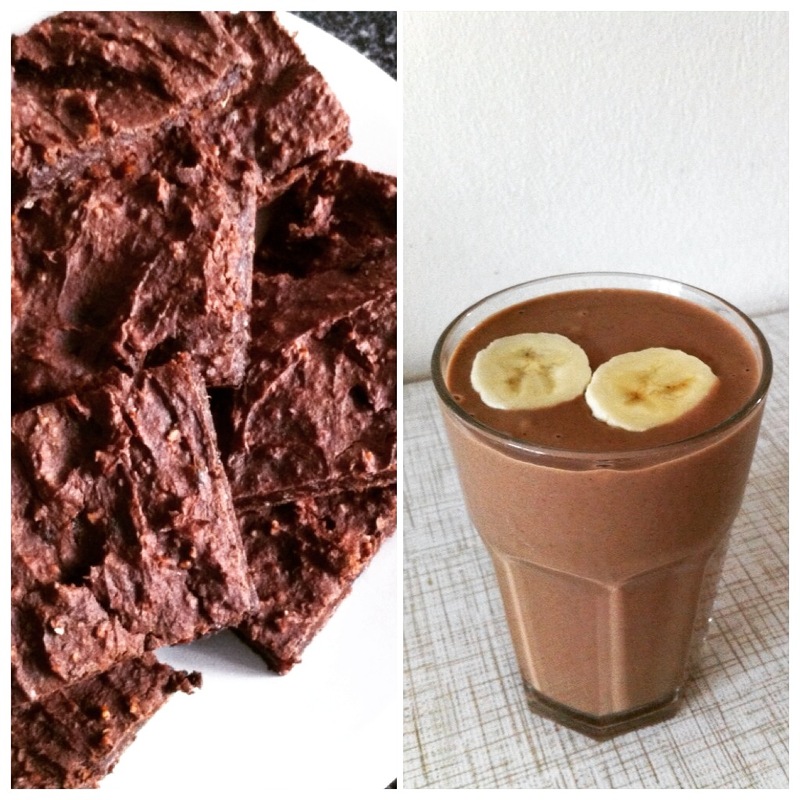 By now I like the brownies, too, I needed to get used to them somehow, but I still prefer the smoothie. 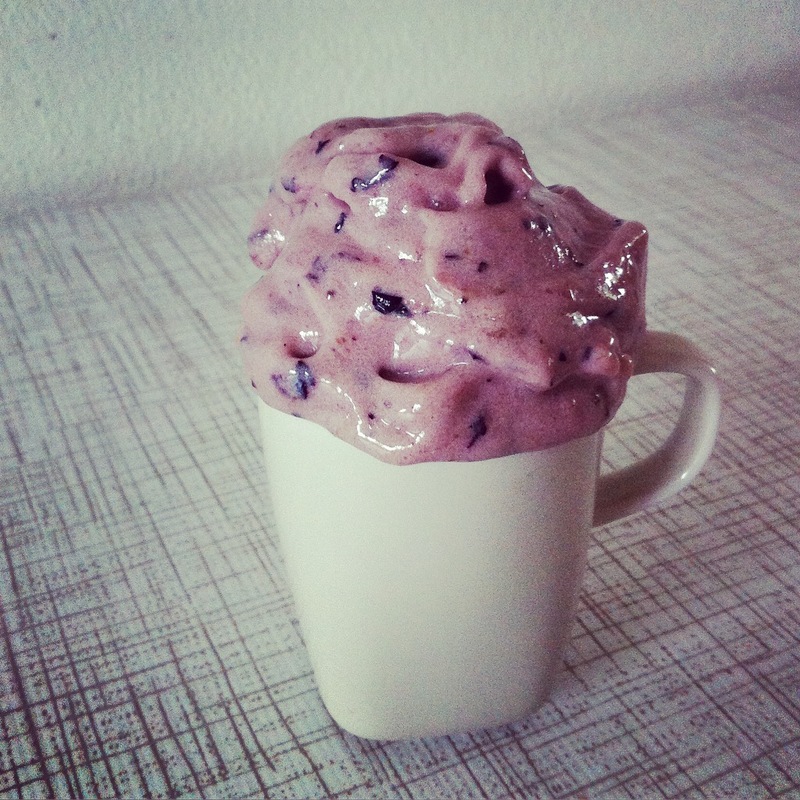 If I didn’t try not to have too much fructose, I’d probably have the Banana Ice Cream (http://deliciouslyella.com/banana-ice-cream-vegan-sugar-free-dairy-free/; Bananeneis) on a daily basis. 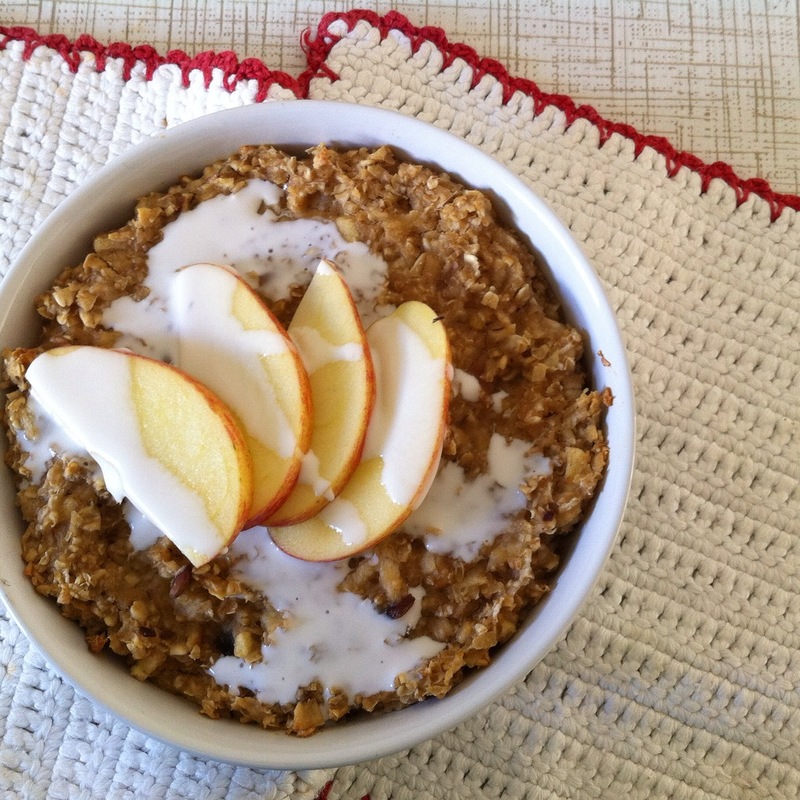 So simple and so yummy. 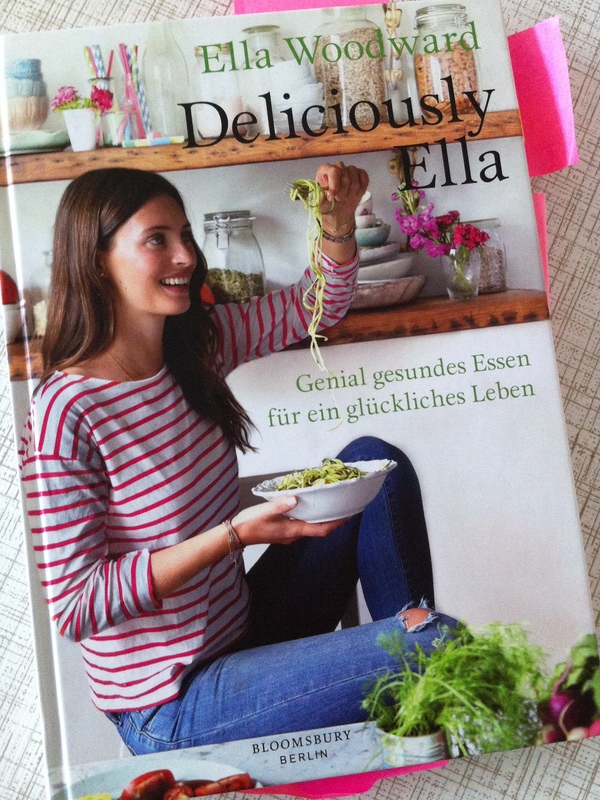 I can definitely recommend everyone to get Ella’s cookbook and to have a look at her wonderful website: http://deliciouslyella.com. She also has an app with recipes, and there’s been this Love Yourself Guide (http://loveyourself.deliciouslyella.com) on offer for a few weeks now with recipes, workout videos and more. I love what Ella does and stands for and I’m looking forward to many more delicious recipes and further inspiration by her.